Lose weight. Quit smoking. Exercise more. Stop drinking. It’s that time again, when people use the new year as a chance to wipe the slate clean and hit the reset button. Stop their bad habits and start over fresh January 1st with a new beginning. They share many of the same resolutions; some manage to keep theirs for good, while others may last a few months. Some will only last a week or two before saying ‘screw it’ and falling back to their old ways. As the year comes to a close I’ve been reflecting on my writing—what I’ve accomplished, what I still want to accomplish, and how I can go about getting there. Hence, my writing resolutions for the coming year. I’m curious if any of you other writers out there share some of these same resolutions the way ‘normal’ people share theirs. I will devote time to writing every day. As writers, the phrase “Write every day” is engrained in us like the literary Pledge of Allegiance. Lately, though, I think that piece of advice is part baloney. I’m not necessarily saying someone should actively choose not to write, but I don’t believe forcing yourself to put words on paper (or on a screen) is always the most beneficial thing you can do. Instead, what I’ve begun doing is setting aside time to write every day. If I use that time to write, that’s awesome. But sometimes, there’s just nothing in the tank. Chalk it up to a long day at work, too little sleep, or simply a bad mood/depression, sometimes writers don’t want to write. That’s different than you’re garden variety procrastination; I’m talking about just plain not having the desire to write anything. I think that as long as it isn’t happening regularly, it’s okay to not write once in a while. *this is merely one random guy’s opinion, feel free to disagree. Many do. I will learn to use Scrivener and Evernote to their full potential. As a novice writer and blogger (which, arguably, I still am), last year I read a lot of articles and blog posts about what tools writers use to capture their thoughts and ideas, and what they use to actually get them written down. I dutifully got Scrivener and, more recently, Evernote, and now I just need to learn how to make the most of them. I’ve jotted down a few notes on my phone when I was out and about on Evernote, but I still don’t really know what else there is to do with it. Same goes for Scrivener: I’ve used it and am using it currently, but only in its most basic capacity. I need to take the time to watch the tutorials and fumble around in my clumsy old man fashion until I can really see what that program can do. At this point it seems like it will be something I mainly use in the editing stage as I do a lot of my principal writing away from home. I initially used Google Drive to write while away, but due to some inexplicable problems with it at work I’ve begun using Zoho. It gets the job done, but I do like Drive better. I read seven books this year; not exactly what you’d call a staggering amount. But now, as the rough drafts pile up and editing becomes a bigger and bigger part of my day, the time to read has seemed to shrink to a sliver. I started a book two or three weeks ago and I’m still just 30 pages in. There is so much I want to read—old books I either haven’t read or want to re-read, fellow bloggers’ books, new authors making their debut—and the list goes on. What I need to do is crack open a book every time I find myself wanting to play a new game, or if a TV show is on that I’m not totally invested in. Because I know what happens: once I get far enough into a book, I’m in for the long haul. Once I’m invested in the story I become determined to finish the thing so I can see how it all turns out. My goal is at least 12 books in 2014—still not setting the world on fire, but a small improvement from this year. I will study the craft. This year I read Stephen King’s wonderful On Writing (which I didn’t count as one of the seven), as well as the essays by Chuck Palahniuk, Craig Clevenger and everyone else at Lit Reactor. Together, those helped me make a giant leap in the quality of my writing. There’s nothing quite like reading something that details poor writing, only to find examples of said poor writing throughout your work. I still haven’t picked up what is considered by many to be the gold standard, the holy grail of writers everywhere, Strunk and White‘s The Elements of Style, and I haven’t gone back through every aspiring writer’s hero Chuck Wendig’s website for his tips on writing. Reading what I did this past year helped, but I’m not done learning. A writer is never done learning, we all know that. I’m going to study up and make my writing goddamn bulletproof. God, it sounds so simple, doesn’t it? If only it were. I had seven short stories that I submitted to publishers this year, and as of this writing have amassed 11 rejections. That doesn’t shake me all that bad, honestly. Rejection is part of the game. No, what bothers me is my lack of diligence. What happens is I’ll submit a story, receive the rejection, then do nothing for awhile. I don’t just automatically move on to the next publisher and submit again, like I should. Some stories have only been submitted once, while one story has been submitted and rejected four times. This year I’m going to be more businesslike in handling my submissions, and by god I’m going to be published. That sounds so dramatic. What happens if I’m sitting here in late December of 2014 and still haven’t been published? Honestly, I don’t think that’s very likely but if that were to happen I’d have no one but myself to blame for not being persistent and sending out submissions regularly. A couple of the early stories I wrote may lack some of the polish of more recent ones, but I truly believe my work now is good enough to be printed somewhere, and somewhere out there is a publisher who thinks so, too. So, there you have it. My writing resolutions for 2014. Hopefully I keep them all, or at least make a valiant effort. I look forward to reading all your blogs in the coming year, so keep ’em coming. Now, tell me, do you have any resolutions for your writing? Any of yours on my list above? Thanks to everyone who follows and reads the blog. This has turned out to be more fun and fulfilling than I ever could have imagined. Putting out a new blog post is always the highlight of my week. 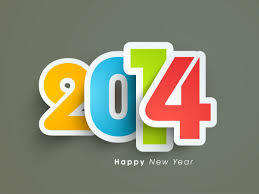 Here’s wishing you all a healthy, happy, and prosperous new year. This entry was posted in Writing and tagged 2014, books, Chuck Palahniuk, Craig Clevenger, Evernote, Google Drive, New Year, Reading, Resolutions, Scrivener, Stephen King, Writer, Writers Resources, Writing, Zoho. Bookmark the permalink. I have been thinking the same things for myself. Thankfully, I was published this year in a small magazine, although unpaid. I will be making similar writing resolutions for myself. After participating in NaNoWriMo, I know I can force writing every day. I’m considering a resolution to write 30,000 every month towards my books. Blog posts will be extra. Your post is so timely. I’ll be sure to make time to write mine this week. Thank you for the inspiration!! I like the thought of a monthly word count goal, that way if one day tends to be less productive you can make up for it another day. I appreciate the comment very much! – I think overall these are solid goals and hit the right level overall. They are right we’re you’re at in writing ficiton. – But I think “writing every day” is a bit ambitious. Even someone without a full time job/family/friends and totally dedicated to writing could find it tedious to write 365 days a year. You might want to alter this at some point to write 5 days a week or something a bit more manageable??? – Never used Scrivener or Evernote, so can’t comment on those specifically. But I have found that in writing, the user is more important than the software and hardware. The user’s dedication and practice has more to do with creating a good piece than the medium used to write it. Shakespeare wrote some passable stuff and all he had was a quill and ink. – I love your “Study the Craft” resolution. I’ve never done this exactly-reading books on the craft of writing. I might have to steal this one from you. – As for “I will be published,” I wish you the greatest luck. Let me know if you want to pick my brains about appropriate markets. I’ve racked up about 20 speculative ficiton rejections so far. So, I’m darn close to being an expert on Rejection myself. Hmmm…Maybe I should write a book about that?? Anyway, Happy 2014 and Good Luck! I appreciate the the response, thanks for reading. What I’ve been doing is setting the time aside to write, then letting the chips fall where they may. In late November and early December, that meant a lot of checking Facebook and browsing Reddit. 🙂 As far as reading up on writing, joining Lit Reactor is money well spent in my opinion. Happy New Year! My writing goal for the past 3 years was to finish my novel. Last year I tried writing for nanowrimo and got a good 9,000 words down but then gave up. I think I’m just going to focus on blogging for a while, and then, maybe, someday, I’ll go back and finish writing my novel. I wish you good luck on your goals. By the way, I never really liked evernote … tried it for a bit, not a big fan. Did you give it a better shot? But speaking of writing tools and places and stuff: you should check out the site, figment.com. Anyway, have a good day! Good luck on your resolutions. You’re funny. Kenneth Jobe is a Native Californian living in the Midwest with his wife and their dog. He is the author of several short stories that have been published in the likes of Jitter Magazine, The Rusty Nail, and the horror anthology Robbed of Sleep, Volume 2, and is currently seeking publication of his first novel as he works toward completing the second. He is also co-host of the music podcast The Ringing Ear, and webmaster of its host site, KillBoringMusic.com, featuring album and concert reviews, and podcast episodes. Take a visit for all your non-boring music needs. I’m not really the mushy, have-feelings type very often, but whenever I look at this photo I wonder what I did to deserve this kid. I dig most of the art downtown, but I dare someone to look into this thing’s eyes and tell they’re not terrified.